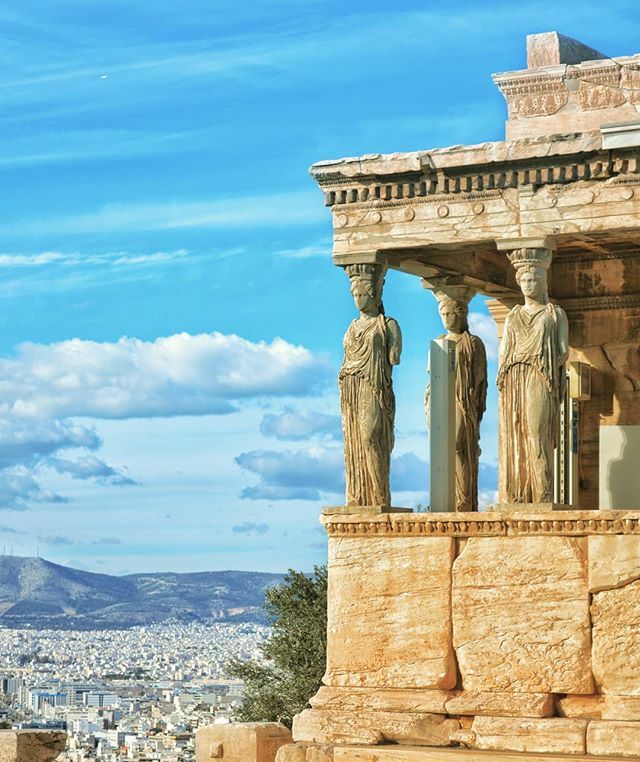 The Erechtheion is an ancient Greek temple located on the north side of the Athens Acropolis. The temple was built around 415 BC by Phidias and was dedicated both to Athena and Poseidon. It is famous for the beautiful porch on its southern side with the six female figures statues. These female statues are called Caryatids and they are serving as an architectural support taking the place of columns supporting a structure. Ancient Greeks used very often Caryatids as an architectural detail to their structures such as in the treasuries of Delphi, and this style was copied also by the Romans. During the Ottoman occupation of Greece, a Scottish nobleman was appointed as an ambassador of Britain in Constantinople. Lord Elgin with the permission of the Ottoman authorities removed numerous antiquities from all over Greece. The most notable of them was one Caryatid removed from the Erechtheion which Elgin used it to decorate his mansion in Scotland. Elgin, after the burden of his escalating debts, sold the Caryatid to the British museum and the statue still remains there since then.